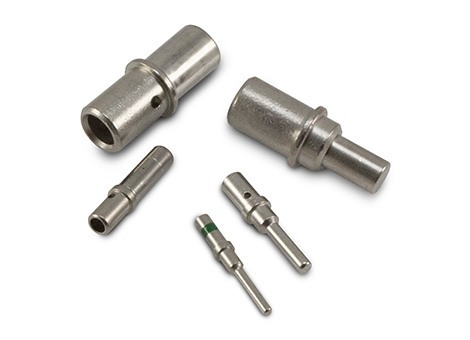 Deutsch's DT Series connectors offer field proven reliability and rugged quality. 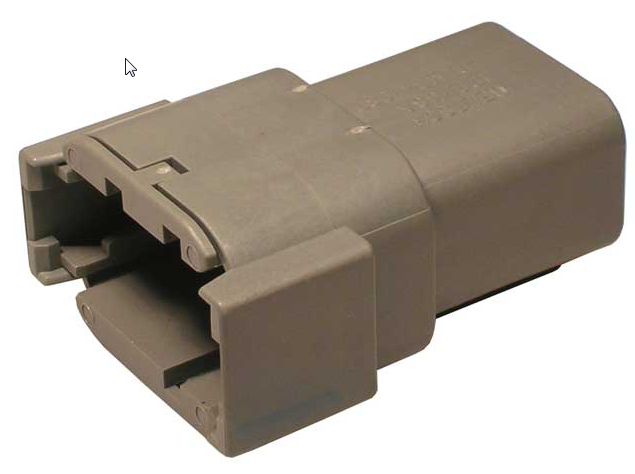 The DT design strengths include optional flange mounting, multi-pin arrangements, lower cost, and design flexibility.The DT Series offers the designer the ability to use multiple size 16 contacts, each with 13 amp continuous capacity, within a single shell. 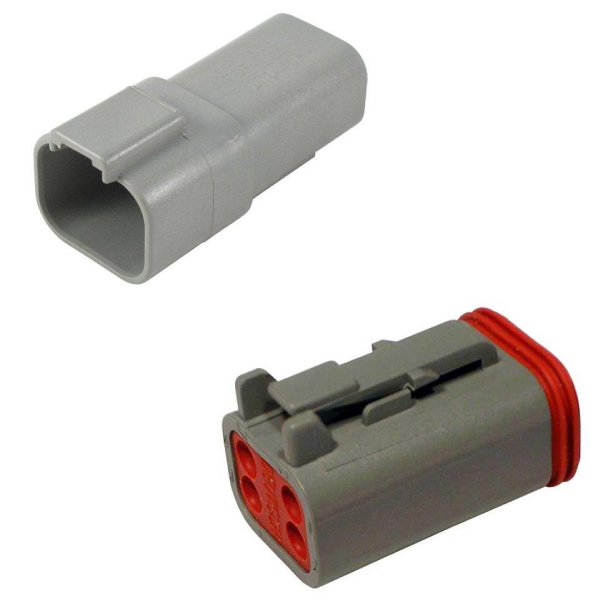 Deutsch’s DTP Series connectors are the solution for your power application requirements. 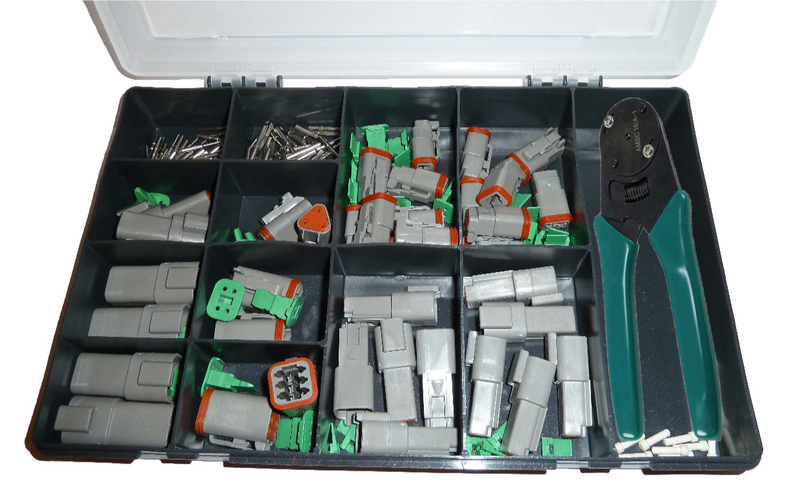 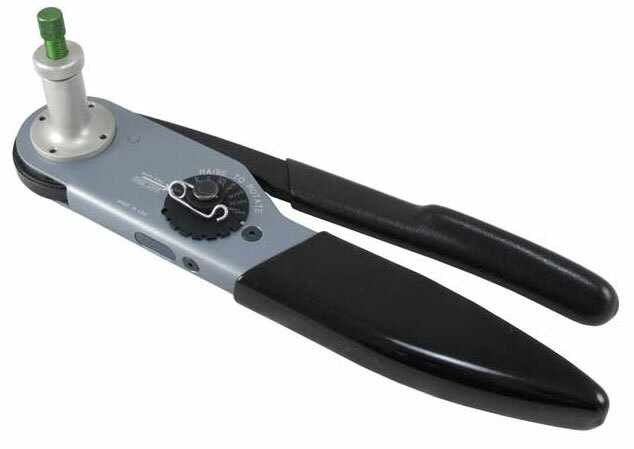 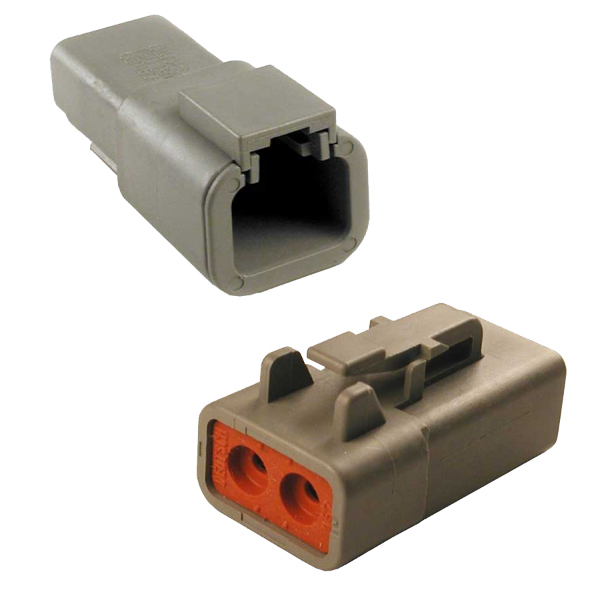 Building on both the DT and DTM design strengths, the DTP connector line was developed to fill the need for higher amperage, multi-pin, inexpensive connectors.